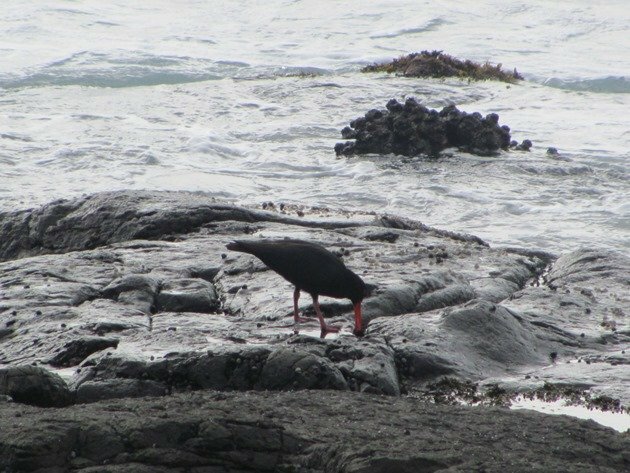 On our recent trip to the Southern Highlands we encountered a miserable morning one day and it really looked unlikely that the sky would clear in the highlands and so we took ourselves to the coast. We took the road from Mittagong that passes through Macquarie Pass National Park and it is a very windy route from the top of the escarpment to the base of the cliffs. It was very damp along the edges of the road and there were two male Superb Lyrebirds busy kicking through the leaves right on the edge of the road. Of course you have no opportunity to stop on these windy roads and they appeared oblivious to the traffic that passed them by. As we came through the open fields towards the coast there were numerous Cattle Egrets among the cattle and Straw-necked Ibis. We had no immediate plan on where we would go once we made it to the coast and so we headed for the Tourist Information office at Shellharbour. They provided us with some useful maps and information and recommended that we took ourselves out to Bass Point Reserve. 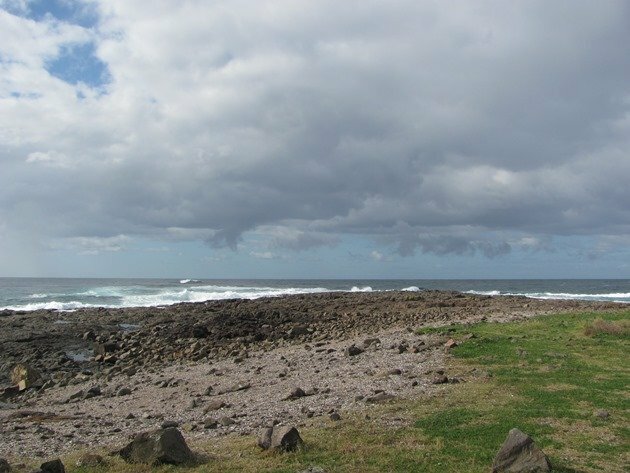 Bass Point Reserve is only a short drive from Shellharbour Village and passes by the boat harbour that is currently under construction. This was particularly useful because it held water and therefore waterbirds! We had our first encounter with a Musk Duck in New South Wales here and then continued on to the reserve. 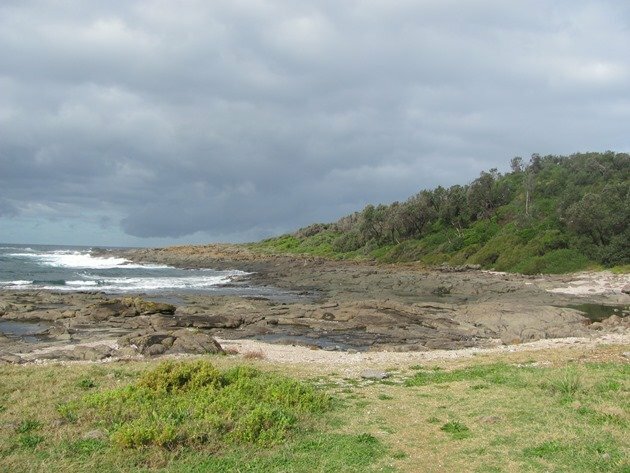 The Bass Point Reserve is a 72 hectare coastal reserve and it consists of a littoral rainforest stand, which is the most diverse stand in southern New South Wales. 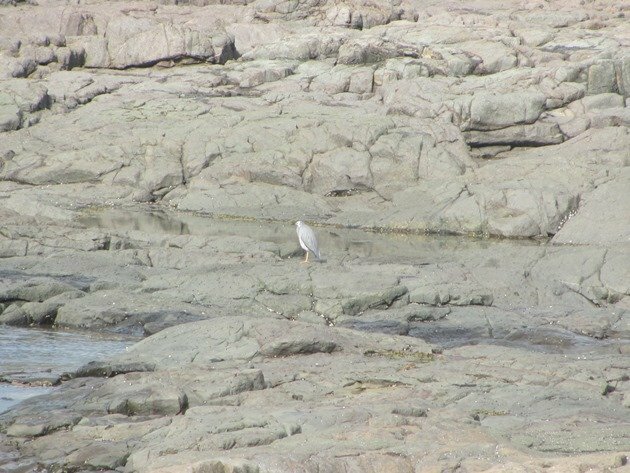 The birdlife was incredible due to the huge variety of trees, shrubs and bushes and the coastal area as well. Unlike other areas that have been cleared we had an area mostly undisturbed and enabling us to enjoy the cool sea breeze. The weather was still particularly bad up on the escarpment, but we were able to enjoy some short walks in the reserve. The native bushes produced Lewin’s Honeyeaters, Grey Fantails, Golden Whistlers, Eastern Yellow Robins and Brown Thornbills. 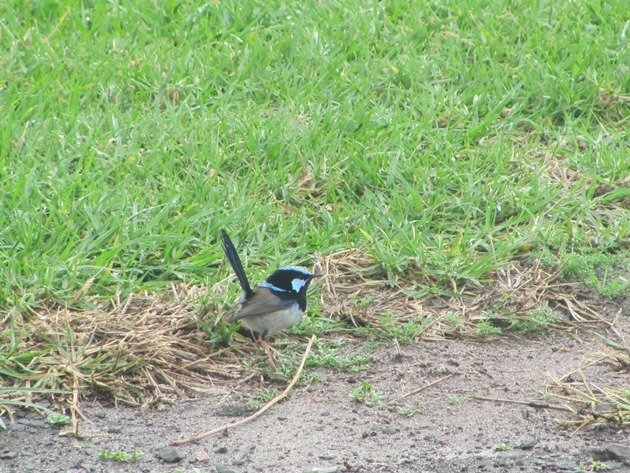 The carpark area was surrounded by a grassy area with picnic facilities and was extremely popular with several groups of Superb Fairy-wrens. 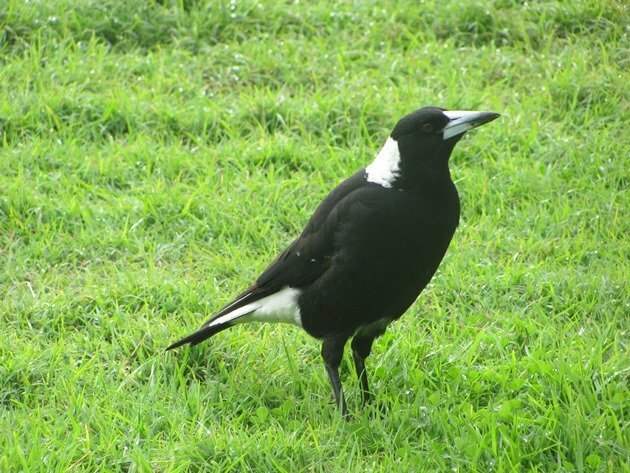 Australian Magpies hopped around the area with their inquisitive disposition. We headed off on the short trail out to the point and kept a close eye on the weather as it was closing in rather fast, but worth the risk! Satin Bowerbirds came up through the forest and made it to the top of the trees and there were Little Wattlebirds present among the taller coastal plants. 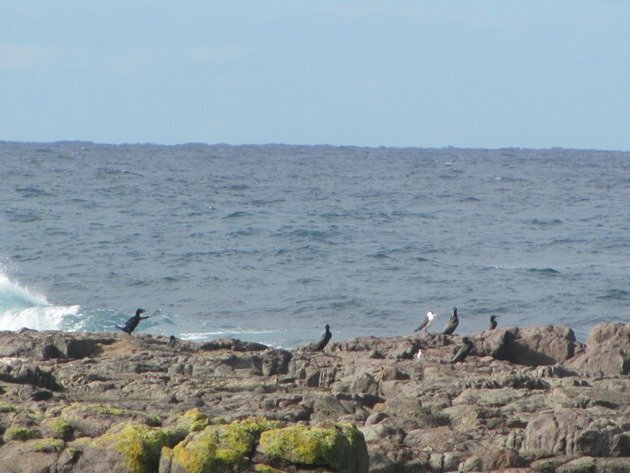 Along the rocky edge of the coast there were Little Black Cormorants and Little Pied Cormorants facing the impending weather. 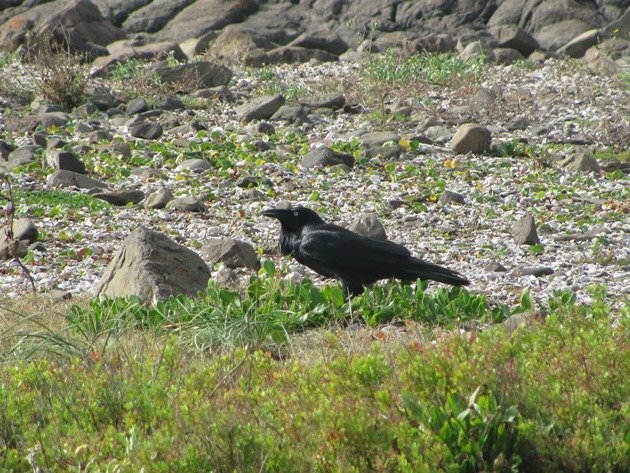 An Australian Raven was investigating the area between the forest and the coast and concentrating on something that was not apparent to us! 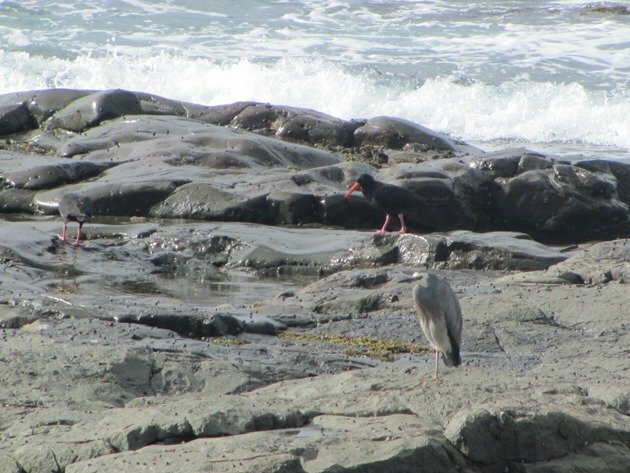 As we followed the coast around towards the point we encountered a White-faced Heron and a pair of Sooty Oystercatchers. 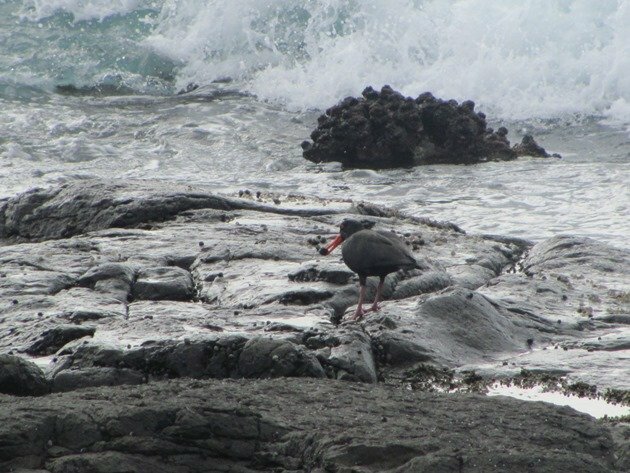 The Sooty Oystercatchers were feasting on the food that they could prise off the rocks. Despite the inclement weather there were people diving, because this is an aquatic reserve as well. It is home to weedy sea dragons and a wide variety of fish and is obviously popular regardless of the weather. The reserve is open 7 days a week from 06:30 each morning until either 6 pm or 8 pm depending on the season. 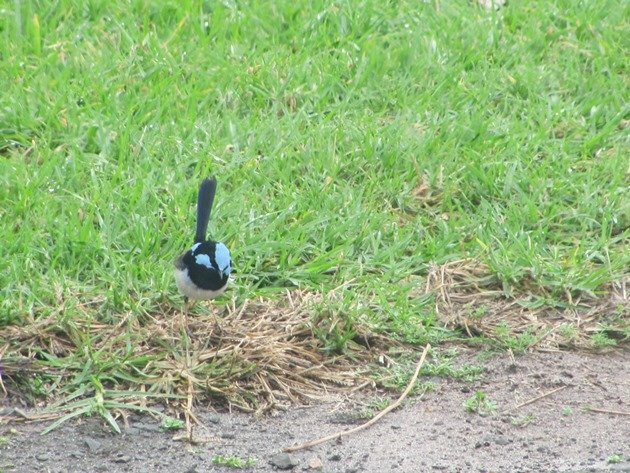 It is the perfect spot to have a picnic and stroll and experience a wide variety of birds. There are numerous Aboriginal and European Heritage sites in the reserve and in May 1943 an American merchant ship “Cities Services Boston” sank during a storm. No doubt the weather that day was not dissimilar to what we were experiencing. No sailors’ lives were lost, but four Australian soldiers who went to their aid drowned and there is a plaque in their memory and an annual service is held. Where Are You Birding This First Weekend of August 2008?